To play your cards right on this hand you will have to carefully count one of the opponents' hand shapes and made the correct judgement at a crucial time. 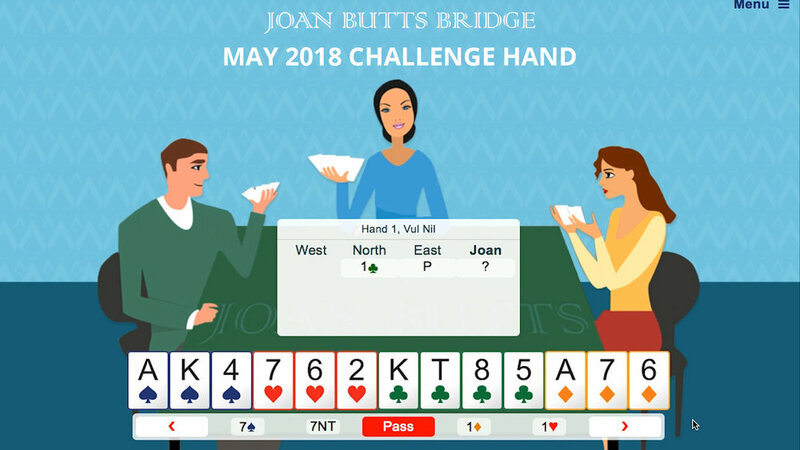 After you've played the hand - you'll need an account with joanbuttsbridge.com to play online - check out the review video and leave a comment on the Challenge Hand post. I'd love to hear your thoughts about this hand. Did you find that queen of clubs for your ninth trick? Check out the review video for suggestions on the bidding and play. I hope you enjoy the hand.